We just placed our order and our grand total was just $16.95 for two large pizzas for dinner and an order of cinna stix for dessert! That's a great deal for a family of 4. Plus we have some pizza left for lunch tomorrow. Yummy! 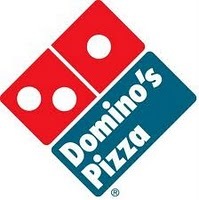 It sounds like a fabulous frugal meal:) The Domino's BOGO codes seems to change often, but I always try to keep updated on the latest ones, as it is a great value.